Kidney stones can be debilitatingly painful, but expert treatment is available with Abbey Gaske, MD, in Torrance, California. 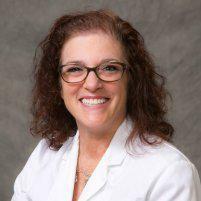 Dr. Gaske is an experienced urologist providing cutting-edge treatment for urinary tract conditions like kidney stones at her South Bay practice. If you’re in the greater Los Angeles area and suffering from kidney stones, call Abbey Gaske, MD, or schedule an appointment online today. Kidney stones are hard concentrations of rock or crystalline particles in your urinary tract formed by salts and minerals. In most cases, they develop when your urine becomes too concentrated, which allows the minerals to crystallize and stick together. Kidney stones may form inside your kidneys, but they can affect the entire urinary tract, even your bladder. They can occur in men and women of all ages. The most common complaint with kidney stones is pain, especially below the ribs in your back or side, or radiating to your groin and lower abdomen. In many cases, you don’t have any kidney stone symptoms until the stone enters your ureter. This tube connects your kidney to your bladder. During your appointment, Dr. Gaske might recommend a variety of diagnostic tests and procedures like blood and urine tests, along with imaging tests such as X-rays and CT scans. If you’ve passed stones, Dr. Gaske orders lab analysis to identify the cause of your stones and develops a prevention plan to avoid recurrent stones in the future. Treating kidney stones depends on the type of your stone and its cause. It’s often possible to pass small kidney stones without medical intervention. This generally includes drinking plenty of water and taking pain relievers to ease your discomfort and medications that help relax muscles in your ureter. She might also suggest medical therapy to help dissolve your stones. Dr. Gaske also makes recommendations to help you avoid developing additional kidney stones in the future. This might include a combination of lifestyle changes like drinking more water and dietary modifications. There are also medications available that help control the amount of salt and urine in your system. Dr. Gaske can make recommendations based on the type of kidney stones you develop. To find relief for kidney stones, call Abbey Gaske, MD, or schedule an appointment online today.